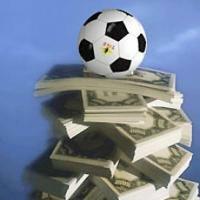 Which soccer players have been involved in the most expensive transfers in the history of soccer? Each year millions of fans look forward to discovering the seasons' signings, wondering if these new players will improve their team's performance. In general, the prices for signings go up every year. For example, Zinedine Zidane topped the ranking in 2001 after being signed by Real Madrid for an outlandish amount. In 2009, however, Cristiano Ronaldo exceeded that record after being traded to Real Madrid by Manchester United in a deal worth 94 million Euros. As you can see, the figures managed in soccer are truly unbelievable.